Choir rehearse every Thursday evening during term time from 6pm-8pm in the Dalton Room. This is a non-auditioning ensemble and open to everyone who enjoys singing. A pianist is usually auditioned during the first few weeks of the year. Works requiring soloists are auditioned and offered to all choir members with at least a week’s notice and access to the music before the audition. 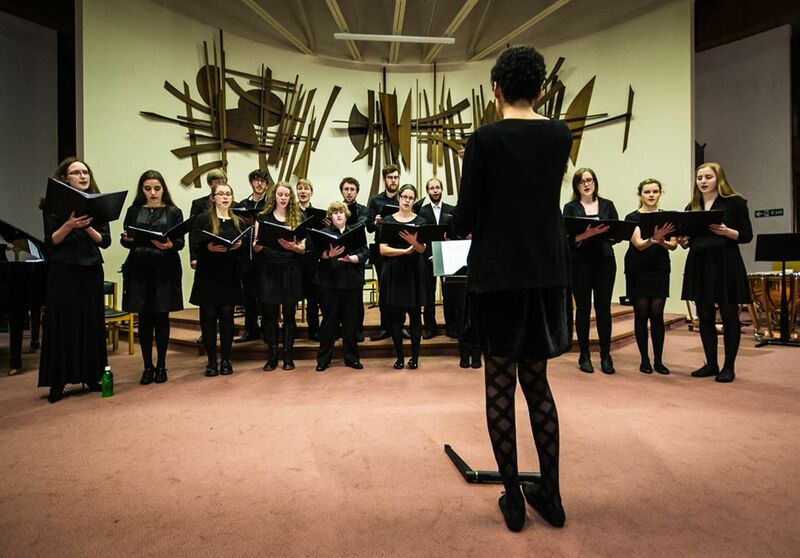 Last year the Choir was involved in the Concerto Concert alongside Orchestra and String Orchestra, as well as performing on the main stage at Campus Fest. This year again, the Choir performed at the Concerto Concert. The 2019/20 Choir Rep is George Allin, who can be contacted via choir@ulms.org.uk.